I only became aware of stir up Sunday sometime during the last few years. 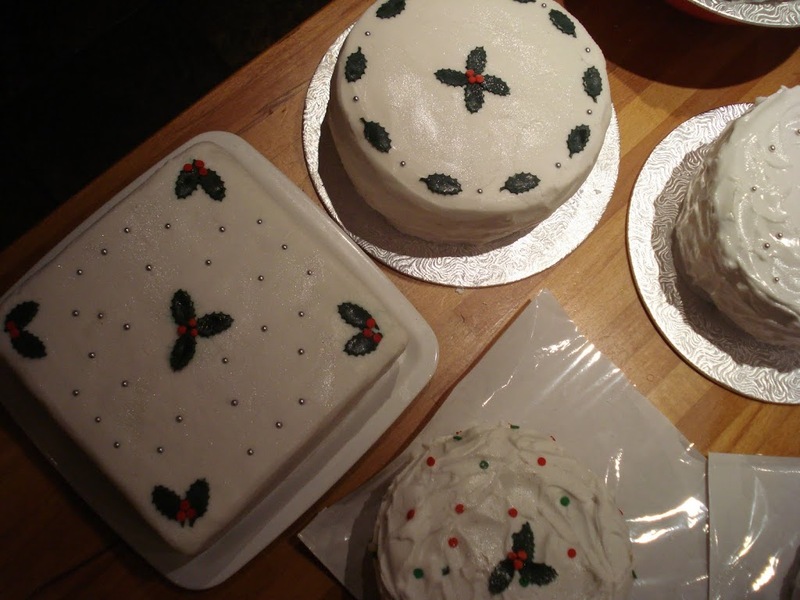 I usually made my Christmas cake whenever I found the time, and it was inevitably during the last few weeks in the run up to Christmas. I was usually found icing it late on Christmas Eve afternoon! I was totally oblivious to any traditions or unwritten rules relating to the custom of pudding, cake and mince meat making. Obviously, for those who make and bake to provide cakes for friends and family, they need to be a little more organised than I used to be. 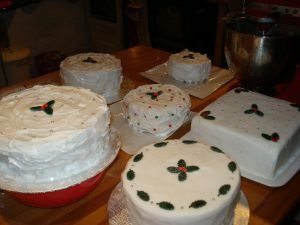 For years, I made one Christmas cake per annum, and it was us, for the family to enjoy on Christmas Day and during the days that followed. 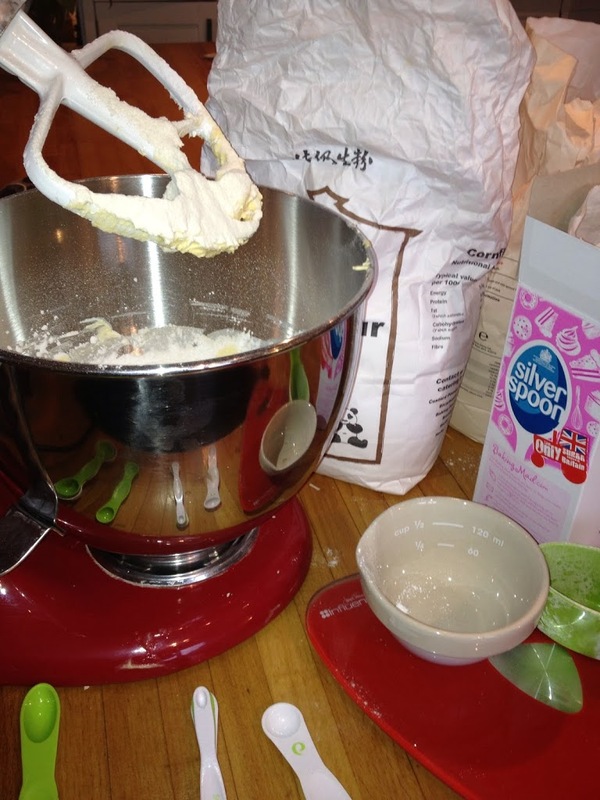 It was fun to purchase the ingredients and to dedicate an evening to weighing out and soaking the dry ingredients, then to mixing the vast quantities of butter and sugar, flour, fruit and spices. The annual Christmas cake bake would, and still does, fill the house with the real aroma of the festive season. This Sunday – the 23rd, is ‘stir-up’ Sunday, the last Sunday before advent begins. It become popular during victorian times, but it does actually serve as an useful reminder that it’s time to get busy in the kitchen and to begin the festive baking. 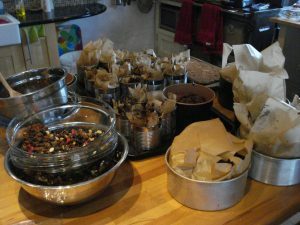 If you’re keen to get mixing this Sunday, making your own mincemeat is a great start, and believe me, it really isn’t difficult. Obviously, you can pop to the shops and buy a jar of mince meat, but you won’t beat the flavour of the home made version, and it’s a lot more fun! The advantage of starting now, is that the fruit and spices in the mince meat, cake or pudding will have time mingle and to get to know each other in the run up to Christmas! This makes for a much richer and fuller flavour. It also means you have more time to get on with other things like school plays, concerts, carol services and shopping as the Christmas season progresses. To make your own mince meat, mix all your favourite dried fruity flavours together for your perfect mix. Use currants, raisins, sultanas, cranberries, dates, and prunes. To make it more exotic, and less traditional try using mango and pineapple, papaya and dried apple for an alternative flavour. To about ½ kilo of dried fruit, you can add a handful of chopped walnuts, hazelnuts or almonds, then add some citrus flavours like orange and lemon juice and zest. To bulk up the mix, add 2 chopped apples, and then spice it up with 2 teaspoons of mixed spice and a glass of brandy, port or another favourite tipple. Sweeten with brown sugar (150-200g ish!) and add about 100g suet for a traditional mince meat. Suet is now widely available in the supermarket in both traditional and vegetarian forms, so this shouldn’t be a problem. The children can take over at this point, pop the kettle on and relax, make a cup of tea, and allow the children to do the stirring!! The flavours simply need to mix. All you need to do now, is to jar this up into sterilised jars ready for the Christmas pies. If you’ve made too much, use pretty labels and ribbon and give them away to very lucky friends and family as little pre-Christmas gifts, or take it one stop further, and add flour, more spices and eggs and turn the remainder into a Christmas Pud. Job done, well done!